OEChem TK provides several functions for determining the connectivity and/or bond orders from various input file formats. For correct molecule processing, OEChem TK requires all the covalent bonds to be represented in a molecule and each bond to have a defined bond order, 1 for single, 2 for double, 3 for triple and 4 for quadruple. Given this explicit Kekulé representation of a molecule, OEChem TK can perceive and re-perceive high order attributes such as ring membership or aromaticity as defined by different aromaticity models. Alas, unlike MDL’s SD file format, not all file formats explicitly specify a Kekulé form of a molecule with explicit bond orders. The functions, described in this chapter, attempt to deduce such a representation from the information that is available in such file formats. For file formats that provide 3D coordinates, but not explicit bond information (or only partial bond information), OEChem TK uses the OEDetermineConnectivity function. This function deduces the pattern of covalent bonding in a molecule from the proximity of atoms. Two atoms are considered bonded if they are located within the sum of their covalent radii (OEGetCovalentRadius) plus an additional “slop” factor of 0.45 Angstroms. OEDetermineConnectivity will not create a bond between two atoms that are less than 0.4 Angstroms apart. Such unreasonably short bond lengths indicate the structure is either severely distorted, or doesn’t have coordinate information at all. All bonds created by OEDetermineConnectivity have bond orders set to one. To perceive bond order information, see OEChem TK‘s OEPerceiveBondOrders function described in the next section. 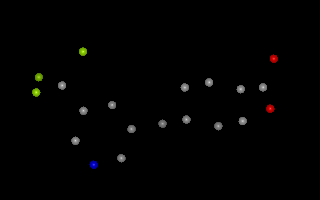 The OEDetermineConnectivity function checks whether a bond already exists between two atoms before creating a new bond. 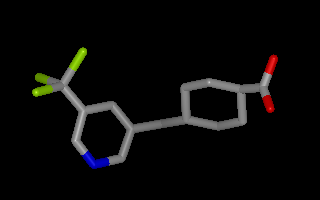 This allows this function to be used with file formats that may specify partial connectivity, such as only multiple (double, triple or quadruple) bonds. The OEPerceiveBondOrders function is used to deduce bond orders from the 3D coordinates and simple connectivity of a molecule. If the simple connectivity, i.e. bonds without bond orders isn’t specified in the input file, OEDetermineConnectivity should be called first to deduce this information from the 3D coordinates. A number of file formats don’t represent a connection table as a single representative Kekulé form but instead denote some bonds, such as those in benzene, as aromatic. OEChem TK provides a method for determining a valid, but arbitrary, Kekulé form for such connection tables using the OEKekulize function (see example in Figure: Kekulization of quinolin). On input to OEKekulize, the integer bond type property of each bond represents either the bond order (1 for single, 2 for double, 3 for triple or 4 for quadruple) or a the value 5 indicating the bond is aromatic or resonant. The algorithm sets the bond order property from the bond type property, with the exception of bond type 5, which is assigned a bond order of either 1 or 2 representing either a single or double bond. The boolean return value indicates whether a valid Kekulé form could be assigned. OEKekulize function is normally only used by low-level file readers for interpreting input connection tables. To write out a Kekulé SMILES string, the aromaticity atom and bond flags have to be cleared by the OEClearAromaticFlags function in order to consider a molecule as aliphatic with explicit bond order. See example code in Clearing Aromaticity.